Looking for custom printed greeting cards? We have a great special going on now. 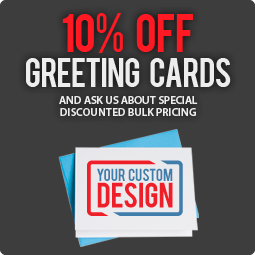 Fill out this form to get 10% off your greeting card order or special pricing on bulk orders.